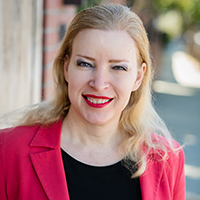 Jessica Bair, Senior Manager, Advanced Threat Solution, Cisco Systems Inc.
Jessica Bair is the Global Lead – Attract Pillar, for Cisco Women in Cybersecurity. Her primary role is the Senior Manager, Advanced Threat Solutions at Cisco Security, where she manages alliance partnerships for four security products. She also manages the Cisco team in the Security Operations Centers for the RSA Conferences and Black Hat global conferences. Prior to the acquisition by Cisco, Bair was Senior Director of Business Development at ThreatGRID. Bair was at Guidance Software for 13 years, co-creating the EnCase Certified Examiner (EnCE) certification in 2001 and creating the EnCase Certified eDiscovery Practitioner (EnCEP) program in 2009. Prior to Guidance Software, Bair served several years as a special agent/computer forensic examiner in the US Army Criminal Investigation Command. She earned an MBA from Pepperdine University.